The blatant aggression against the Gaza Strip we are witnessing affects anyone who has a heart, as Israel’s destruction and barbarism are unprecedented and worse than any I have seen in my life. The horror of today’s attacks is incomparable with any of the raids and wars against the Gaza Strip over the past 50 years. The bombing raids being carried out by Israeli warplanes on the Gaza Strip, as well as the missiles being launched on the homes and farms of innocent civilians, are the latest by the “death industry” of the rogue state. With the war crimes it has committed, as well as its international law and human rights law violations, Israel has gone beyond any international condemnations, reactions and denouncements issued against its non-stop aggression. The latest of such condemnations by the UN were stated in the Goldstone Report after Operation Cast Lead in 2008/2009. If this is the sad aspect of the human suffering of the Palestinians, then the bright side of the people’s steadfastness and resistance in this battle with the occupier has been highlighted in a level of deterrence and retaliation we haven’t seen before. The resistance has shown its engineering and planning strength and its capabilities, in stark comparison to the surrounding countries. The Palestinian resistance, Islamic and national factions alike, have demonstrated that they are the glory, dignity and pride for all of us. Those who underestimated and sometimes mocked the resistance must apologies for the blood of our honorable martyrs and the wounded, as well as our brave prisoners and all of those who made the effort to prepare for this historical battle with the occupation. I once heard Ahmed Jabari, the military commander of the Qassam Brigades, may God rest his soul, explain in one of the movement’s meetings before Israel’s 2012 war against us exactly how prepared the fighters were and the resistance potential in terms of armament and military capabilities. “We have now accomplished 80 per cent of what we wanted and, God willing, we will have the rest of our military equipment in the next stage,” he insisted. During its preparation period that followed 2012’s “Operation Pillars of Cloud”, and the signing of the ceasefire agreement, and now in the armed conflict currently being fought, the resistance has demonstrated its intelligence gathering skills and fight-or-flight responses. We have reached the stage whereby, “if you are hurting, they are hurting just as you are”. The time when Israel could attack us without any cost to itself is long gone; the blood is coming from the same wound. Today we bear witness that the Palestinian resistance groups have raised the status of this nation and restored some of the people’s wounded prestige. Everyone at all levels and in all groups is cheering for the resistance and hopes that the fighters will not lay down their arms before they have achieved victory and changed the equation of the truce and the blockade. We are not asking for impossible conditions, just the minimum that preserve our right to live in freedom and dignity. Our people are sick of being in a state of humiliation, poverty and begging for a living. In the past, they said, “Life under humiliation is hell”; we now say, “We are far from humiliation.” Netanyahu must understand that the Qassam and Al-Quds Brigades, as well as the Mujahedeen, Al-Aqsa and Abu Ali Mustafa Brigades are now laying down the law, and that the blood of the Palestinians is not a card that can be played by the extremist Zionists in their struggle for power and rule in Israel. They must also know that they will not enjoy security, safety, comfort and stability while our people are suffering from the occupation and the siege. If today the Palestinian resistance rockets are reaching and intimidating all Israeli cities and towns, and the warning sirens are heard from Sederot to Nahariya; Yad Mordechai in the south to Ashdod, Tel Aviv, Herzliya and Haifa in the north; then in the near future, the resistance will have deterrence weapons that will challenge all Israeli accounts and concerns. Throughout all the wars I’ve witnessed since my childhood, and I am over sixty years old, I have never seen such pride, courage, confidence and bravery as what we are witnessing today, especially since we are living under non-stop Israeli raids, with shelling from artillery and warships around the clock. Even more dangerous than this, not a night goes by without a bloody massacre claiming the lives of women and children, in addition to the barbaric occupation policy of demolishing homes over the heads of their inhabitants. In 1956, I was only a six year-old child but I remember the fear and panic in the streets of Rafah following the attack by the Israeli army in the Gaza Strip during the tripartite aggression against Egypt. Known by the world as the “Suez Crisis”, in which both Britain and France joined with Israel in the attack, it drove me to leave my house aimlessly, panting behind the masses of people who left the refugee camp to run towards the Mawasi area next to the beach for safety. I witnessed thousands of people trying to get away from buildings which were all prone to being bombed by the Israeli army from the air and land. I spent three very difficult days away from my family during the Israeli invasion of Rafah city and its overcrowded refugee camp. People were crying and very sad. Family members had been separated due to the hurried evacuation of the camp, and the people suffered for several days without any food or drink, under the open sky, facing threats and death. Everyone returned to the camp when the situation calmed down somewhat, looking for their children and relatives. I was the eldest child in my family so they were doubly worried; I saw the pain etched on their faces. On 12 November 1956, the Israelis massacred 124 men and boys in the Rafah refugee camp. Known as Al-Amiriyah School Massacre, the victims were herded into the school under the batons of the soldiers. Those who survived the beatings were met with a hail of bullets and the demolition of the building over their heads. The bloodstains stayed on the school walls for years to remind us children of Israel’s crime. It wasn’t until the following March that the Israelis left the camp and we could breathe a sigh of relief. The greatest catastrophe occurred in 1967, when seven Arab armies were defeated during a military confrontation with Israel which lasted for six days. We found ourselves once again in panic, fear and grief. With the “Naksa” setback, all of our dreams of victory and triumph vanished. After anticipating what we hoped would be a historical moment following the longs years since the 1948 Nakba, we awoke to the nightmare of occupation once more. We feared and prepared for the worst, witnessing numerous massacres and bloodbaths in which the Israeli occupation army violated all sanctities and international laws and norms, committed war crimes, and terrorized innocent civilians. In one massacre, the victims were a group of Egyptian reserve soldiers in one of the UNRWA schools near the Rafah railway station; another was committed by the Israeli occupation army against the family of Fatah leader Abu Ali Shaheen (may God rest his soul) in the Shabura refugee camp, where most of his family members were killed in cold blood. I witnessed the fear and panic that accompanied such massacres; it was evident in the faces of everyone; children, the elderly, women and even men were all scared. On our way to Egypt to complete our university studies, we witnesses the October 1973 War; the scenario was slightly different. We were, of course, worried at first, and we feared for our families in Gaza, but the tone of talk about the clashes between the Egyptian army and Israel was very different this time. The chants of “Allah is Great” and songs in praise of the Egyptian army gave us confidence that victory was definitely coming, and that it was time for the Arabs to score our first victory against the Israeli army; the Israeli commanders, meanwhile, boasted that their army was unbeatable. Egypt won. We felt that our hope for the empowerment of our nation and achieving victory was not far-fetched after all; that all that the Arab and Muslim masses were missing was political unity and military cooperation. They also needed a mass movement following the calling of “Allah Is Great”. With the return of Islamic awareness to the Gaza Strip after thousands of graduates returned from Egyptian universities in the late 1970s, preaching in mosques and institutions led by the Islamic Society and the Islamic University saw the beginning of resistance action against the occupation. 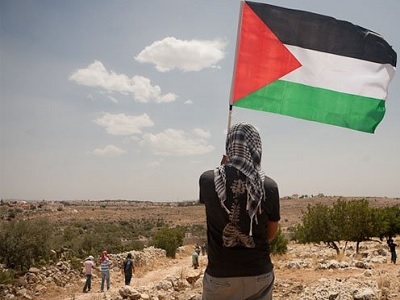 The First Intifada broke out in the occupied West Bank and Gaza Strip in 1987, during which everyone, including the nationalists and Islamists, played an integral leading role which give us confidence in the possibility of rubbing Israel’s nose in the dirt and damaging the army’s prestige. Despite the clear imbalance in the balance of power in terms of preparation and military capabilities, the Palestinian will was there to do something about self-empowerment. We saw glimpses of pride, dignity and defiance in the faces of the children who threw their stones and we sensed victory. The protests were bold in the face of threats from the Israeli generals. This was the new form of bravery and resistance, during which the children of Palestine lost their fear of the occupation soldiers. In 1988, I was sure beyond the shadow of a doubt that we were facing the generation that will be victorious, and that the occupation was on its way out and we could dream about freedom again. In 1994, the Palestine Liberation Organization returned to the homeland and formed what it called the National Authority. The armed conflict of the Aqsa Intifada against the occupation in September 2000 was led competently and effectively by President Yasser Arafat. During this time, the Islamic and national resistance forces played the biggest part in teaching the Israeli enemy a lesson in how to deal with the Palestinians and respect human dignity. With the martyrdom operations and creative resistance acts, in 2005 Israel and its army had no choice but to withdraw from the Gaza Strip in humiliation. The freedom that the territory gained after this allowed the resistance to expand. It was stressed that the adoption of jihad and resistance is not just an option, but a strategy we intend to use in order to achieve liberation and return. With Hamas’s victory in the January 2006 elections and its formation of the Palestinian government, the work of the resistance factions grew stronger. A major achievement was the kidnapping of an Israeli soldier and a subsequent exchange of prisoners. The resistance also fought two bloody wars in response to Israeli aggression on the Gaza Strip in December 2008-January 2009, as well as November 2012. Despite serious civilian casualties, including women and children, the resistance was able to remain steadfast and maintained its heroic position, teaching the occupation a lesson in sacrifice and redemption. Although the destruction was massive, affecting human beings, animals and trees in the Gaza Strip, the morale of the Palestinians who experienced both wars in Gaza was high; they felt like victors because the occupation did not achieve its objectives and left humiliated with the collective tail between its legs. In the battle that we have been witnessing since Tuesday 7 July, many are asking what has changed since November 2012. What prompted the Israelis to provoke a new war after it has been proven time and time again that the “winning point” will go to the Palestinian resistance? The Israeli military, with all of its capabilities, will not win on the battlefield because military confrontations are based on tactics and perseverance as well as surprise plans and capabilities, and not merely having superior military equipment. In the 1960s, France lost the battle for Algeria after an occupation that lasted 132 years and despite its great military superiority in comparison to the modest capabilities of the FLN fighters. The US super-power was defeated by the Vietcong in the 1970s, and the world witnessed the miserable fall of the Soviet Union in the early nineties, after the Red Army’s supplies and morale ran low in Afghanistan in its battle against the mujahedeen in the 1980s. In October 1983, I visited Afghanistan for a media mission, and I heard from the leaders of the mujahedeen there, Gulbuddin Hekmatyar, Abdul Rasul Sayyaf, and Sheikh Abdullah Azzam, that the Soviet invaders would be defeated, that their kingdom would be fragmented and that their prestige would disappear within a decade; that is exactly what happened and the Afghan mujahedeen achieved a great victory. We learn from history that battles may be won by those with military superiority, but the struggle of the people to gain freedom and independence is what usually achieves victory in the long run. The day has come when the Palestinians have the courage, capabilities, willpower and patience to challenge and fight the enemy; they are able to do what all the Arab armies have failed to do to the Israeli army; and resistance rockets have reached all of Israel’s cities and towns, from the north to the south and to everyone’s great surprise. This drives us to praise the brave resistance and its men. Since the first hours of the Israeli attack on Gaza, many of the leaders and members of Fatah, as well as national figures, made contact to commend the military creativity and surprises provided by the resistance in an attempt to defend the dignity of the Palestinians. I was pleased that many participated in the martyrs’ funerals. Others expressed their willingness to take up arms alongside their Hamas brothers; I would like to share one of the letters that I received from one of their leaders in Khan Younis, who wrote: “We praise your jihadist ingenuity and great sacrifices. We send all of our love, greetings and support for your distinguished position in the Al-Quds battle. We will work hand in hand towards a liberated Palestine.” The days of fighting the occupier have provided a chance to sit down and talk and renew our vow to work together for the sake of Palestine. Today we say this firmly and with confidence, the resistance will prevail and its flag will be raised high in spite of Netanyahu, his right-wing extremist government and his military commanders. We will return to our homes in Palestine and repair the rift between Palestinian factions and will rejoice in the achievements we made for our nation. By Allah I cried reading this article and I pray that Allah SWT grant victory to the Palestinians and May Allah Make the Palestinian people Steadfast in their fight against oppression. We are praying for you and know that even though we are not in Gaza with you but know that we (Muslims) hurt as much as you do. Is this rubbish for real or from the usual Arab world of fantasy? You terrorists from Gaza aren’t doing too well so far although you’ve managed to murder a lot of your own folk. The Land of Israel belongs to the Jewish people not to the Arab terrorist barbarians who are slaughtering each other all over the Middle East. Hans Luber…I can guess you live in fantasy..You don’t have knowledge about the history of Israel’ settlement in the land of Palestine.